Her creatively woven illustrations never fail to leave juvenile hearts in wonder. The magical exuberance in her fabled stories is an exhilarating treat to their hearts. Filled with magic and fantasy, the stories always deliver an enthralling thrill ride that leaves them in absolute awe. The stories are filled with a sense absurdity only child’s mind could grasp. Children should be allowed to do mischievous things. Children don’t like to be told, how to live and how to do things.They hate being told to be good. The parents are telling them to be good; teachers are telling them the same thing, they don’t like that. Let them enjoy their childhood. I say, let them live their lives as bad children. “By some mysterious magic, I have a child in my heart. I am like a child when I write and illustrate books. If you don’t want to grow old, nurture a child in your heart. The child is very much alive within me,” she says. 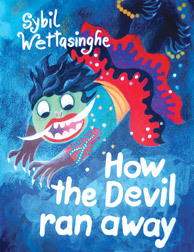 Sybil Wettasinghe, the legendary Sri Lankan illustrator has won hearts of many children through her creative skills. 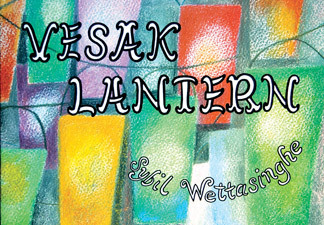 Not a known fact, her creative prowess stretches across boundaries and has even earned her a place among the top sixty children’s illustrators in the world. Her timeless collection consists with memorable stories such as The Umbrella Thief, The Runaway Beard and How the Devil Ran Away. 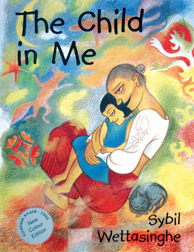 The winner of Gratiaen Prize and the State Literary Award, Sybil’s work has been translated into many languages across the world. Still pretty much a child in heart, Sybil joined Daily News Artscope’s ‘Encounter of the Week’. Q: Your Gratiean Award winning book Child in Me speaks a lot about your fascinating childhood. How much did your childhood experiences inspire you in your creations? A: I grew up in Ginthota Galle. My childhood was like a dream. I had a very close association with my grandmother. She could not write or read well. She used to narrate me folk tales and folk poems. She knew a wonderful set of folk tales. We used to go to the forest behind our house and play. After I returned from school, we used to run to the forest, dip in the stream and bathe. And there were porcupines, squirrels and monkeys in the forest and I used to talk with them. 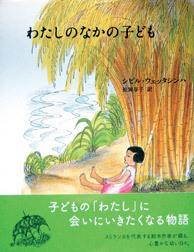 When I first went to the village school, the first thing that struck me was a nice big bamboo groove. I felt like bamboo trees were speaking to me. I felt everything had life. Those memories still linger within me. Q: Children are no longer allowed to cherish their childhood in such a playful manner. Share your thoughts on the problem. A: If a child gets an idea to do something, no one can stop him from doing it. Children should be allowed to do mischievous things. I used to play with animals when little, but now children are not even allowed to touch their pet-dog. Everybody has to enjoy childhood. Children should be allowed to do mischievous stuff. Parents should learn to enjoy childhood mischief. The childhood comes only once in a life time. Q: You spoke of childhood mischief being a good thing, but don’t you try to give a moral message through your stories? A: I do in a way. The moral has to be built into the story without their knowledge. The story should not pin point and say that this is the moral that you should to follow. Children don’t like to be told how to live and how to do things. For instance, once I asked my granddaughter to come and watch a popular children’s movie with me. She said she can’t, because the film is about a good kid. They hate being told to be good. The parents are telling them to be good; teachers are telling them the same thing. I say, let them live their lives as bad children. Roald Dahl’s Matilda is a book that hurts feelings of all elders. The book is all about mischievous things that Matilda does. It won the best book in England. If someone wrote something like that here, the author would have been banned. The parents and teachers should not forget their own childhood. Everyone should remember their own childhood. Q: Do you think that children are shying away from books with the advent of technology and other computer gimmicks? A: I don’t think all children are like that. I still get letters and calls from children who read my stories. Our fantasy world is different from today’s children’s fantasy world. These days, children’s fantasy world is filled with stories about Spiderman, Batman and Harry Potter. Our childhood stories were filled with fairy tales. But things have changed with time. But you can’t restrict children from being addicted to them. It is the present times. Q: Being an adult, how challenging it is to understand the child psychology in order to cater to their tastes? A: For me, it is not challenging at all. By some mysterious magic, I have a child in my heart. I am like a child when I write and illustrate books. The moment I go and talk with children, I am a child. I believe, if you don’t want to grow old, nurture a child in your heart. I am a friend to myself. The child is very much alive within me. So when I try to weave a story, I don’t have to go very far. They want a very fantastic, dreamlike world. Q: Have you ever thought of catering to adult readers? A: In fact I have written two successful books called Kusumalatha and Rasavathi for adult readers. In a sense they are about my version of women in Colombo. Some incidents were written from personal experience. I love to be called a ‘godaya’. In my heart I am a real villager. Q: Most times when children have talents for arts and other creative work, parents don’t encourage them to pursue their talents. A: Even my own mother was like that, she wanted me to be an architect. Those days the architect had to play the role of Quantity Surveyor as well. I didn’t like arithmetic at all, so I didn’t want to be an architect. They thought that following a profession in Art would make you a poor person. 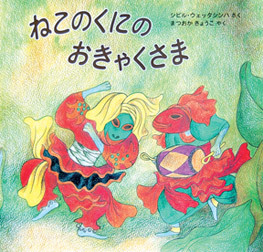 When I was a teenager, Ananda Samarakone had an exhibition. I kept on talking about one of the paintings and he said I had a beautiful voice and that I should come to his music classes. I told this to my mother, she burst out in rage saying, “I bought you to Colombo not to learn how to sing or dance, take that out of your mind at once.” I liked dancing, but she did not allow me to follow dancing either. I guess it is the general attitude towards art that needs to be changed. Q: Do you think that creative talents can be learned through academic means? 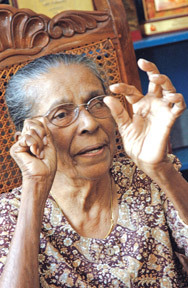 A: Maestro Kemadasa once told me, if you went to university, we would have never had a Sybil Weththasinghe. Even Edwin Ariyadasa said the same thing. I am a born artiste. I didn’t learn art anywhere. I didn’t take any lessons. I draw pictures my way. Sometimes people used to criticize my drawings. If you are born with a talent, you can enhance it with little technical things, but you can never learn your style. That is why I discourage parents for sending their children to art classes. Children bring out their expressions through art. No teacher can teach them how to do that.I refuse to go with the people from the academic of art to judge art competitions. They see children’s art from a different perspective. I look at it from the child’s point of view. I am familiar with child’s art. I really learned how to illustrate books through child art. It is a different language altogether. Q: Have the responses always been positive about your work? A: When I wrote my second story Runaway Beard, I got blasted by the local publishers. One publisher said: “What is this nonsense you have written? These kinds of stories violate children’s minds. Write something productive, write something which revolves around science for instance”. I was very upset. I went and showed my story to Mrs Wickeremasinghe, the director of Lakehouse. Then I sent the same book to Japan and that publisher replied saying, “this is a wonderful story, we want more books like this.” See the difference in attitudes. Our people said, this is a stupid story, “a gon kathavak”. We need to publish factual stories for elderly children. People don’t know how to differentiate fantasy and fact.